Noah Segan joins us to talk the films of Dennis Hopper! Rochelle and Lee look back at some of the key films from this month, including Steven Spielberg’s pop culture paean Ready Player One (00:46), Aki Kaurismäki’s wry Finnish comedy-drama The Other Side of Hope (05:49), Ruben Östlund’s wry Swedish comedy-drama The Square (08:08), Armando Iannucci’s wry Russian comedy-satire The Death of Stalin (11:51), and Garth Davis’s non-wry Biblical drama Mary Magdalene (14:32). This entry was posted in podcasts and tagged backtrack, brick, catchfire, chasers, colors, dennis hopper, easy rider, homeless, kid blue, looper, mary magdalene, noah segan, out of the blue, pashmy dreams, ready player one, star wars: the last jedi, the death of stalin, the hot spot, the last movie, the other side of hope, the square on March 31, 2018 by The Hyphenates. Not all filmmakers create a work that changes cinema and continues to resonate for the next five decades, and those that do rarely achieve such a feat with their debut. 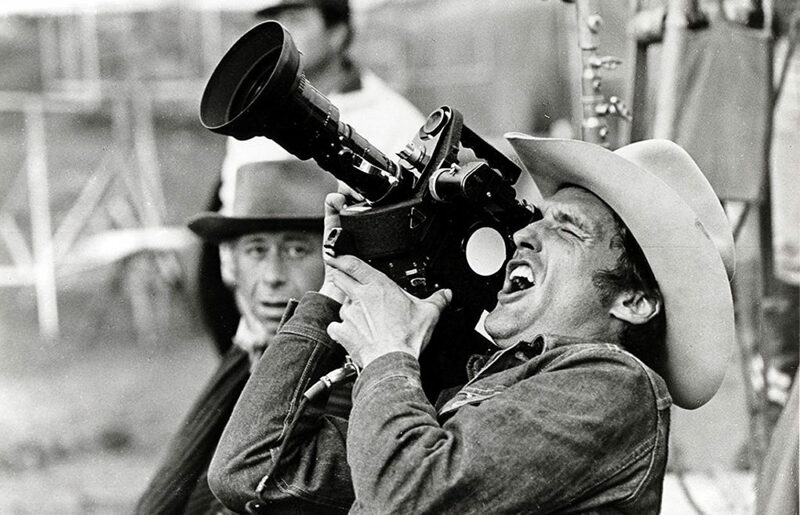 Dennis Hopper was no mere vanity actor-turned-director, launching Easy Rider into the zeitgeist and creating a work that served as an icon for both the counterculture movement as well as its inevitable death. Nothing but respect for my Captain America. Once you’ve finished watching that film, throw on Colors. This intense crime drama stars Sean Penn and Robert Duvall as unlikely partners, upending the cliché of the experienced elder cop and the brash young upstart even as the genre was taking root. It’s a product of its time, but it’s not dated the way it might have… or perhaps even the way it should have, given the issues it’s dealing with could easily be ripped from today’s headlines. It’s remarkably nuanced work from Hopper, who perhaps should get as many plaudits for this work as he does Easy Rider. Either way, this is a hell of a double. 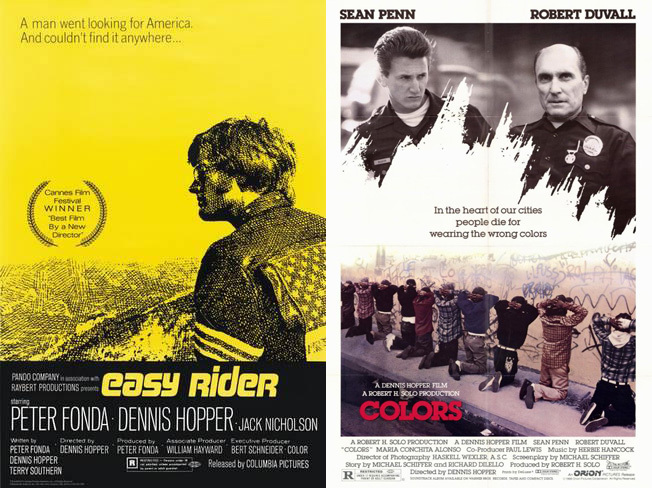 Substitutions: If you can’t get or have already seen Easy Rider, seek out The Last Movie (1971). It’s not exactly a beloved film, and its reputation is that of a total disaster, but the same dystopic 1970s feel that drove Easy Rider drives The Last Movie. It is a film of excess, a difficult and indulgent second album, and really worth a watch. If you can’t get or have already seen Colors, get your hands on The Hot Spot (1990). This gritty film noir set in a sun-drenched small town stars Don Johnson, Virginia Madsen and Jennifer Connelly, and is definitely a minor classic, particularly if you’re a fan of ’90s thrillers. The Hidden Gem: Want to see something off the beaten path, a title rarely mentioned when people talk about the films of Dennis Hopper? Then you should track down Out of the Blue (1980). This drama about a young girl whose obsession with music helps distract her from domestic dramas is remarkably nuanced work from Hopper, and deserves to be ranked with his best. The next episode of Hell Is For Hyphenates, featuring Noah Segan talking the films of Dennis Hopper, will be released on 31 March 2018. This entry was posted in blogs and tagged cheat sheet, colors, dennis hopper, easy rider, noah segan, out of the blue, the hot spot, the last movie on March 26, 2018 by The Hyphenates.